I really, really enjoyed this series. The finale pulled out a lot of stunts I was not expecting and made for a thoroughly enjoyable conclusion. Usually I end a short seasonal series like this wanting more, but I'm actually feeling pretty satisfied with what we got. So, this might seem a bit out of nowhere considering I haven't made so much as a peep about any of the news for this series, or posted in here while it was airing, but if you'll all be so kind as to indulge me for a bit, I have a lot of thoughts I've wanted to get off my chest for about four months. About how I thought this show was going to be terrible. About how I thought it WAS terrible. And more than anything, about how wrong I was. You see, pretty much everything about SSSS Gridman was rubbing me the wrong way from the start. The name barely made sense and rolls off the tongue so poorly it might as well be unpronounceable. The animation was going to be making use of CG for the action scenes, and I can count on one hand the number of anime I've seen pull that off successfully. Nothing I was seeing made me excited. I think the singular announcement that actually made me happy was hearing Hikaru Midorikawa was still voicing the title character. Then comes the premiere. All my worst fears realized and then some. A dreadfully dull 24 minutes spent with hollow, unlikable characters engaging in overly drawn out conversations with stilted, awkward direction that was blatantly more concerned with saving on budget than actually looking visually interesting. 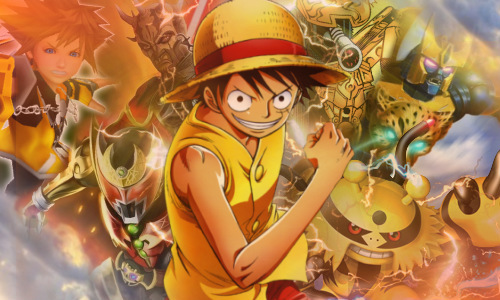 Perhaps the big fight at the end would've salvaged it for me, if only the story up to then had created enough emotional investment in anything happening for the obligatory theme song power up to actually elicit some kind of response. If only the haphazard mix of 90's-inspired traditional giant robot animation and modern computer effects weren't distracting me from each other. This was the big, unexpected reboot of an oft-forgotten hero that was supposed to knock all our socks off? Worse yet, most people who weren't me seemed to be loving it. My feelings were only getting more sour with each episode. There was the occasional moment that stuck out as surprisingly well done, such as the ending to the second episode, but none of it was enough to convince me my first impressions were anything but accurate. I felt like I was going crazy. So many people were head over heels for this thing and for the life of me I couldn't see it. It was quite the position to be in given how often the exact opposite of this happens when I watch something. But all I was seeing was a misfire of a series with an unresolved identity crisis. Does it want to be some ultra slick, modern high school drama anime? Because the giant monsters all over the place are inherently at odds with that idea. Does it want to be a throwback to super robot shows of decades past? With all the CG and pretentious all text, one word title cards for the episodes it's not doing a great job at that. Does it even want to be Gridman? Then why replace the proactive, excitable leads of the original with lethargic high schoolers and bastardize the premise to make the series even more of a low-rent Ultraman? Almost everything about the writing infuriated me. Nothing about it was dramatically satisfying. The character development was razor thin. The characters talk at length about the many mysteries of the plot, including ones the audience has already been given the answers to, without making any actual progress. 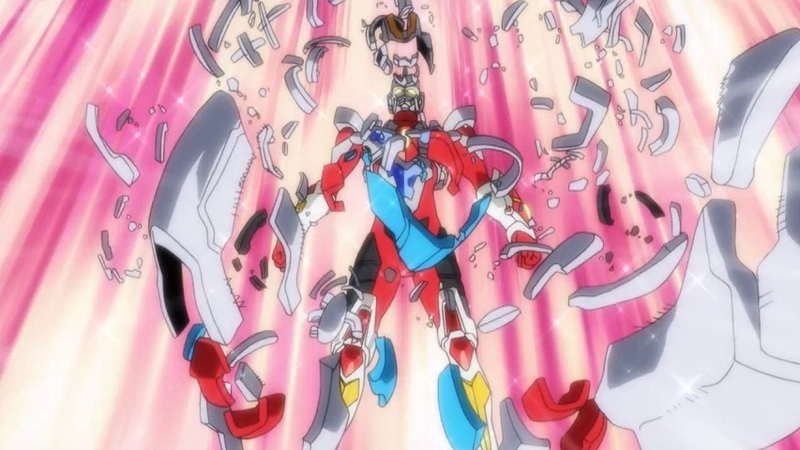 The action, supposedly the main draw, never quite seemed to grasp how to make me feel like Gridman was truly in danger. It seemed like Keiichi Hasegawa was putting in all those Ultraman references as more of a cry for help than anything. After 8 episodes, I couldn't stand it anymore. I was sticking with the series out of a belief that I would warm up to it eventually, but it just wasn't happening. I pretty much hated it at this point. My animosity was such that I couldn't help but think of SSSS Gridman as exactly the kind of anime that makes Hayao Miyazaki retire every couple of years. A passionless shell of a story with zero humanity, made by and for the kind of nerds that enjoy drawing lewd images of the female characters more than they enjoy the series itself. A whole lot of style and no substance. Yeah, I know, I'm kind of an a-hole. After all, that just couldn't be right, could it? 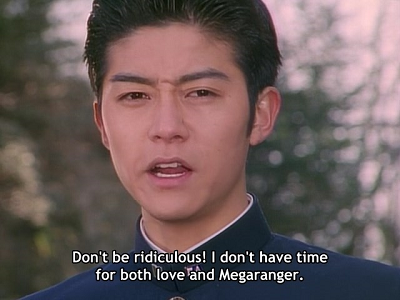 I know from all of Hasegawa's work on the Ultra series that he's generally quite good at injecting some real emotion into his scripts, and while I'm less personally familiar with the work of most of the other staff, it's glaringly obvious this project was anything but passionless for them. But I still couldn't see what exactly they were trying to accomplish here. Whatever soul this show had, I still hadn't found. And so, after an impromptu sabbatical of about a month, I went back to finish up the last 4 episodes. 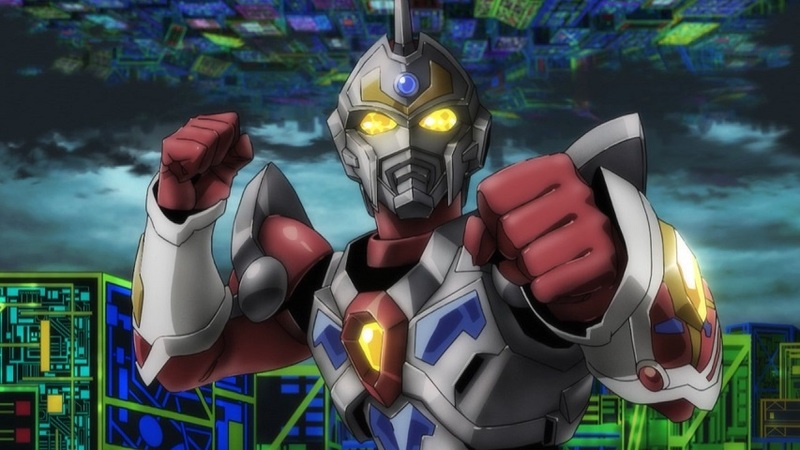 Inspired by my favorite character, Anti (the only one I felt had a discernible goal he was actively working towards), I decided I, too, couldn't let myself keep losing to Gridman. One way or another, this was gonna end. And as I sat down to settle things once and for all, the strangest thing happened. I started to see it. The cohesion in the narrative. The reasons the characters were written how they were. The strengths of the animation style. An honest to goodness satisfying payoff for all the things I had been complaining about. Then I got to the finale. I was so floored by what I was watching I no longer had any choice but to take back all the things I said. The one with the identity crisis was me the whole time. 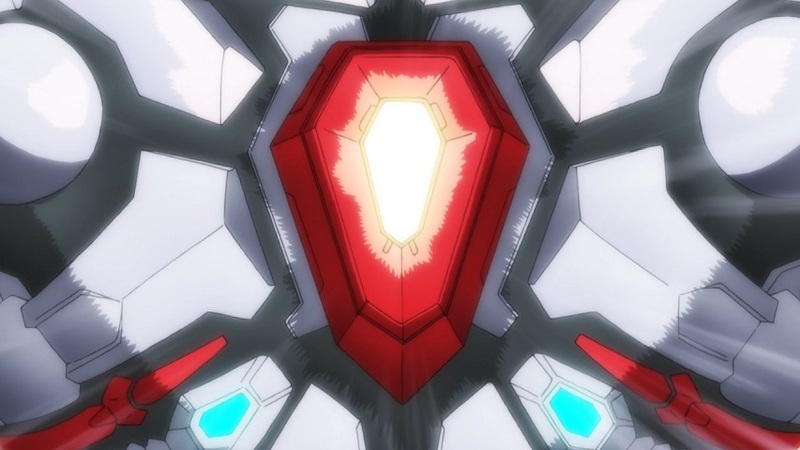 I spent the show's entire run being uncharacteristically cynical about it, and in the end it gave me pretty much everything I wanted, right down to bringing back Gridman's coolest move from the original show in a climax so spectacular it finally got that fist-pumping excitement out of me. All of a sudden this felt like a series that actually had a purpose, and something it honestly wanted to say to the viewer. I could see the connection to and love for the things it was paying tribute to, and looking back on the series as a whole, I found myself free of all that resentment. Indeed, all I could think about what how much I actually enjoyed it. It was a bizarre and profoundly pleasant feeling. "This isn't complicated. You need to like things first." "If you hate it, then it'll hate you back." "But if you like it, then someday, it'll like you, too."